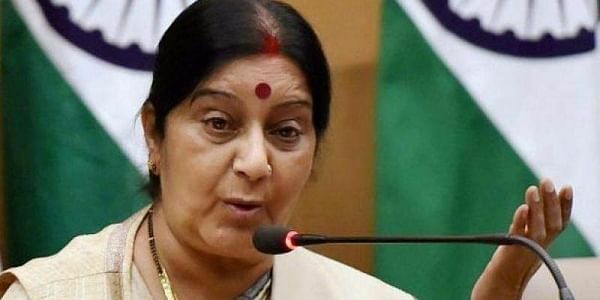 Sushma Swaraj made a special mention of India's Permanent Representative in the UN Syed Akbaruddin while hailing her ministry's team. NEW DELHI: External Affairs Minister Sushma Swaraj today congratulated India's Dalveer Bhandari on his re-election to the International Court of Justice and complimented her ministry's officials for their efforts in ensuring his success. She made a special mention of India's Permanent Representative in the UN Syed Akbaruddin while hailing her ministry's team. "Congratulations to Justice Dalveer Bhandari on his re- election as a Judge of the ICJ. Huge efforts by Team - MEA. Syed Akbaruddin @AkbaruddinIndia our Permanent Representative in UN deserves a special mention," she said on Twitter. Bhandari was today re-elected to the International Court of Justice as the General Assembly overwhelmingly threw its weight behind him, forcing Britain to withdraw its candidate from a hard-fought race to the World Court. Following his election, Swaraj had tweeted, "Vande Matram - India wins election to the International Court of Justice.